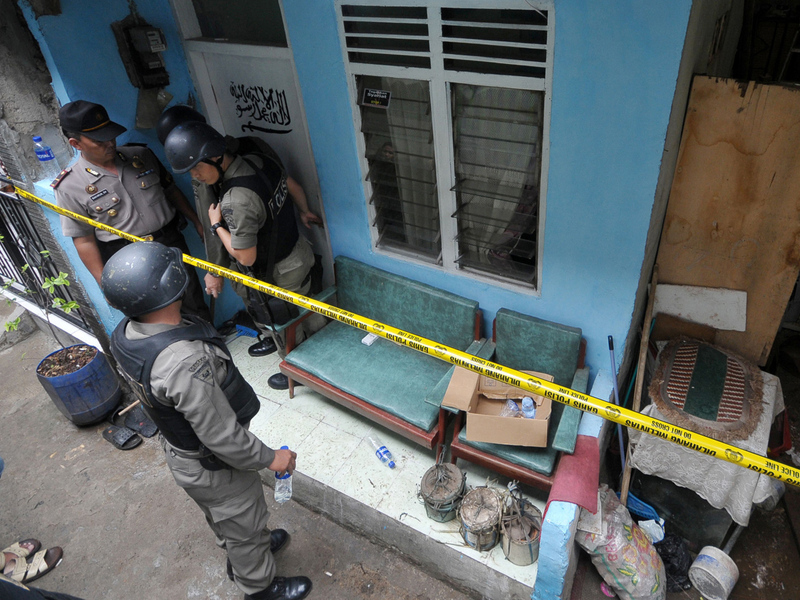 JAKARTA, Indonesia Indonesia's anti-terror squad arrested 11 people suspected of planning a range of attacks on domestic and foreign targets including the U.S. Embassy and a site near the Australian Embassy, police said Saturday. Alius said police are still investigating whether the group has ties with established terrorist organizations such as Jemaah Islamiyah. An investigator who spoke in condition of anonymity because he was not authorized to provide information to the media said HASMI's apparent leader, Abu Hanifah, was a Jemaah Islamiyah sympathizer. Indonesia, the world's most populous Muslim-majority nation, has been battling terrorists since the 2002 bombings in Bali by militants linked to Jemaah Islamiyah which killed 202 people, mostly foreign tourists. Earlier this month, police warned of a terrorist threat in Bali targeting a ceremony commemorating the 10th anniversary of the bombings. The country's security alert was raised to its highest level.